Same but Different – Understanding the Needs and Challenges of Individuals with ASD for Partnership and Support | KIN & KiDS Marriage, Family and Child Therapy Center. On 27th and 28th of June 2018, Kin & KiDs Marriage, Family and Child Therapy Centered was very honoured to be invited by Project Differently-Abled (DA) by Gamuda Berhad (http://gamuda.com.my/) to conduct a two-day workshop named “Same but Different – Understanding the Needs and Challenges of Individuals with ASD for Partnership and Support”. This 2-day workshop was organized for Volunteers of Project Differently-Abled (DA) to provide support at workplace to their DA colleagues who are in the autism spectrum as buddies, supervisors or mentors. 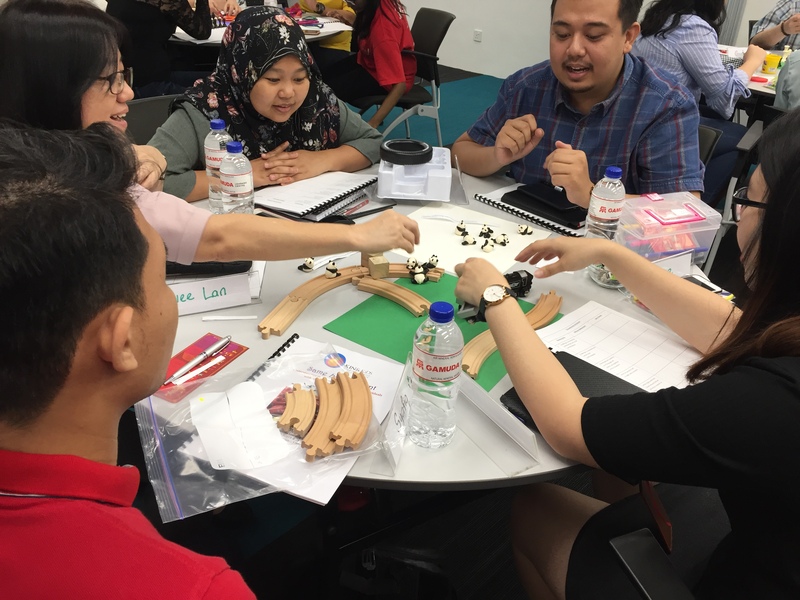 24 participants were involved, most of whom were mentors and supervisors who work very closely with individuals with ASD at the Gamuda company. There were also other participants who are actively involved in supporting the ASD community, such as special needs teacher, volunteers from NGOs, and so on. We hope this workshop can help them better understand the needs and challenges DA colleagues experience and how this affects their functioning and interaction with others, so they can respond appropriately when their DA colleagues are frustrated, stressed or upset with them or with other neurotypical colleagues. We also hope that they are able to provide emotional support and positive motivation during times when DA colleagues faced frustrations and stressed in relating with other fellow colleagues due to work or social interactions, and in situations when they faced with rejection especially in relationships that they regard as “special relationships”. Most importantly, our intention is also for them to be able to accept DA colleagues as they are, without expecting them to change or be moulded to meet expectations of neurotypical norms. 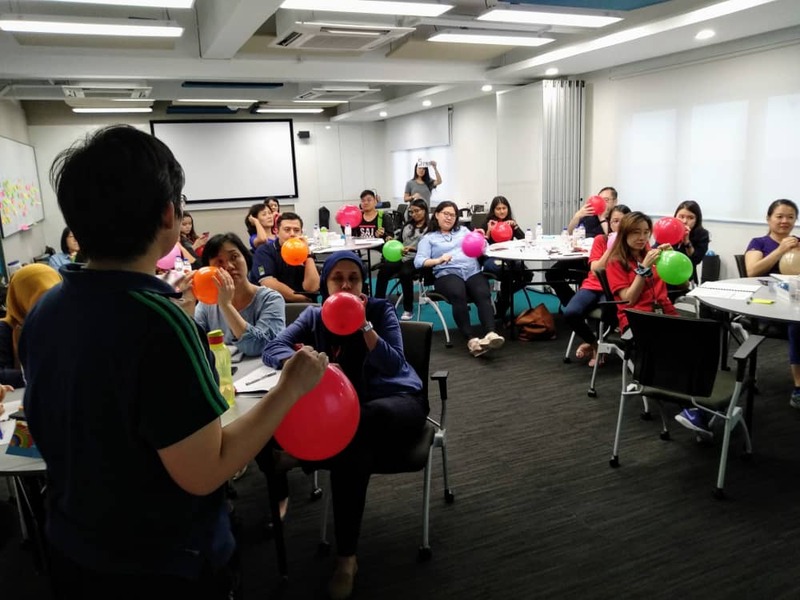 Our director, Charis Wong and clinical psychologist Frances Lim, facilitated various engaging activities and discussions that helped participants to gain more insight, particularly about how individuals with ASD are different but similar with us in terms of physical, emotional and sexual needs. Both facilitators had also exposed participants to the importance of their own emotional regulation and self-care through various relaxation activities and experiential exercises, as one cannot serve from an empty vessel. As a part of Kin and KiDs, I, as an intern admin had the privilege to work under Charis and Frances in preparation of the workshop. It was a great opportunity for me to assist in the preparation and participate in this workshop which has not only trained me at event preparation and organization, but also helped me at personal improvement. In this workshop, we were given the chance to do a self-review especially in emotional regulation and self-care areas. We were also taught not to run away from the negative feelings and flaws that we have had, but to accept and embrace them. It is an important step for us to take in order to improve ourselves as not addressing our feelings or flaws can leave us an unresolved past. Having the mindfulness of our feelings and flaws can not only help us in taking responsibility for ourselves but also making positive changes in our own lives. People tend to take things for granted. I am glad to be reminded again that we should all always be appreciative of what we have. Are you currently pursuing your undergraduate degree? Considering an undergraduate internship at KIN & KiDS? Click here for more information!